When clicked on, the panel opened up to reveal a graphic overlaid with an animation of a hand that moved in response to my mouse. 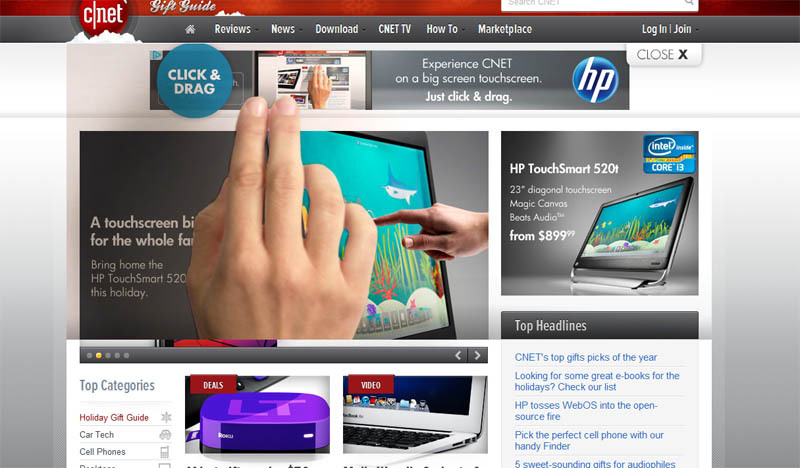 When I clicked on something, the hand made a point gesture. When I moved to the side, it made a swiping gesture. Though this was incredibly simple, it did give me a sense of the ease in which I could navigate if I had this computer. I thought it did a nice job of illustrating an important product feature. Only one small complaint — I am left handed, and the image was for right-handed people.